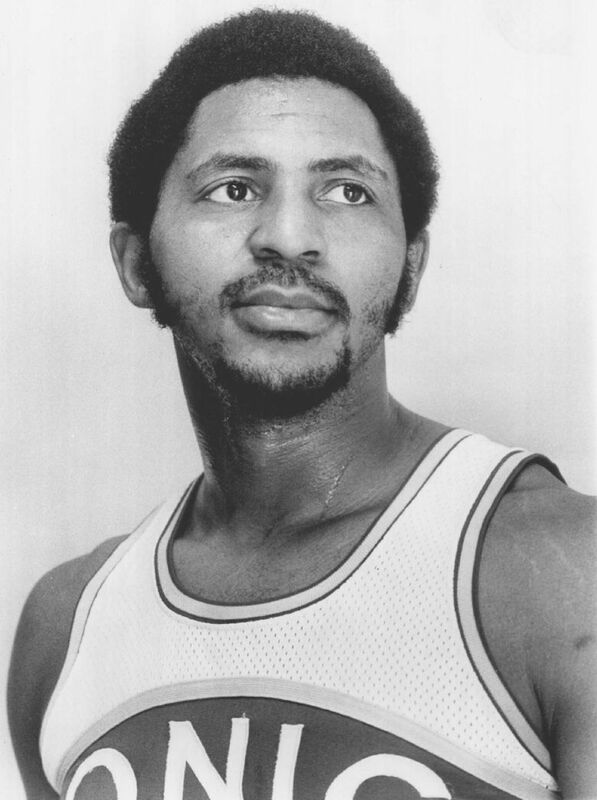 Lonnie Shelton's addition prior to the 1978 season was often-cited as the finishing piece for a Seattle team that beat Washington in the NBA Finals the following spring. Lonnie Shelton, the starting power forward and defensive enforcer for the Sonics team that won the city’s only NBA title in 1979, has died at the age of 62. Shelton passed away Sunday night in Westminster, Calif. after battling health issues since suffering a heart attack on May 5, according to his son, Marlon, a former basketball player at the University of Washington. Shelton had been in a coma for the past month or so before passing away Sunday. The 6-8, 240-pounder, who also starred at Oregon State, played five seasons for the Sonics from 1978-83, averaging 13.6 points and 6.5 rebounds in 329 regular season games. 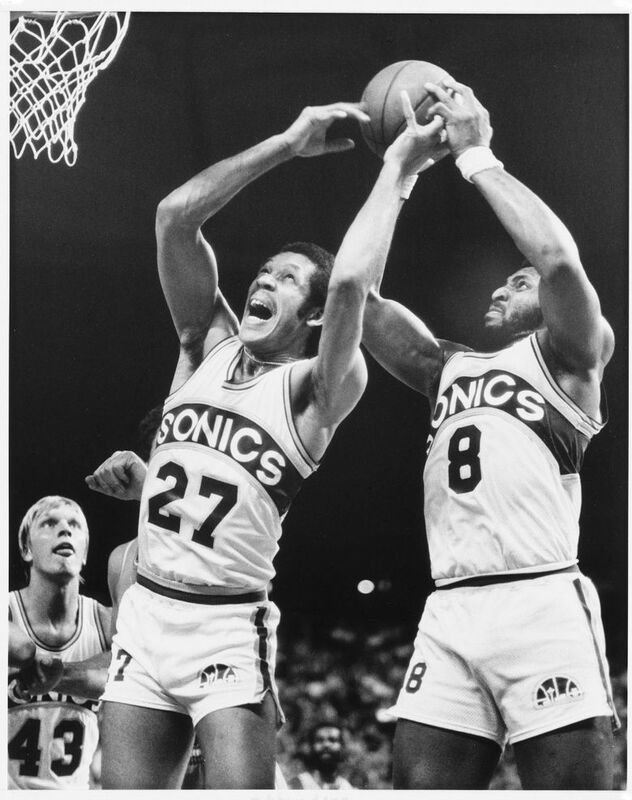 He averaged 12.9 points and 8.4 rebounds in 17 playoff games for Seattle in 1979 as the Sonics beat the Lakers, Suns and the then-Washington Bullets to win what was Seattle’s only NBA title in the 41 years the Sonics played in Seattle. He also set a team record that season by going 13-13 from the field in a game against Cleveland, ultimately hitting 17 straight shots. Shelton played his first two seasons with the New York Knicks but arrived in Seattle shortly before the title-winning season via an NBA rule that, at the time, allowed the league to award compensation to teams when another team signed one of their free agents. 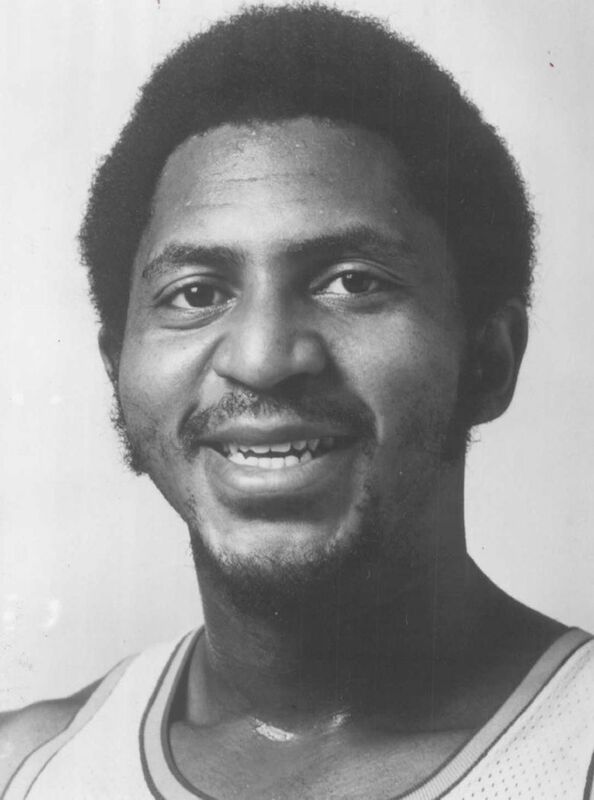 After New York signed center Marvin Webster, who helped lead Seattle on a surprising run to the NBA Finals in 1978 and whose loss initially appeared to be a potentially devastating blow to a rising Sonics team, the NBA awarded Shelton and the Knicks’ 1979 first-round pick to Seattle as compensation. (The terms were later reversed somewhat, with Seattle giving its 1981 first-round pick back to the Knicks). Lenny Wilkens, then the Sonics’ coach, recalled Monday that Shelton initially was not part of the compensation package that Seattle was being offered for losing Webster (a deal that also included New York giving Seattle $450,000). Jack Sikma, then entering his second season with the Sonics, recalled that the team was elated when it heard in late September that Shelton would be coming to Seattle to replace Webster, who had signed with the Knicks in late August. “We got so close (losing to Washington in seven games in 1978) and then we lost Marvin, so yeah, things were up in the air,” Sikma said. “But I think everybody felt pretty good about the compensation package.” (Seattle would use the draft pick, No, 7 overall in 1979, on guard Vinnie Johnson). 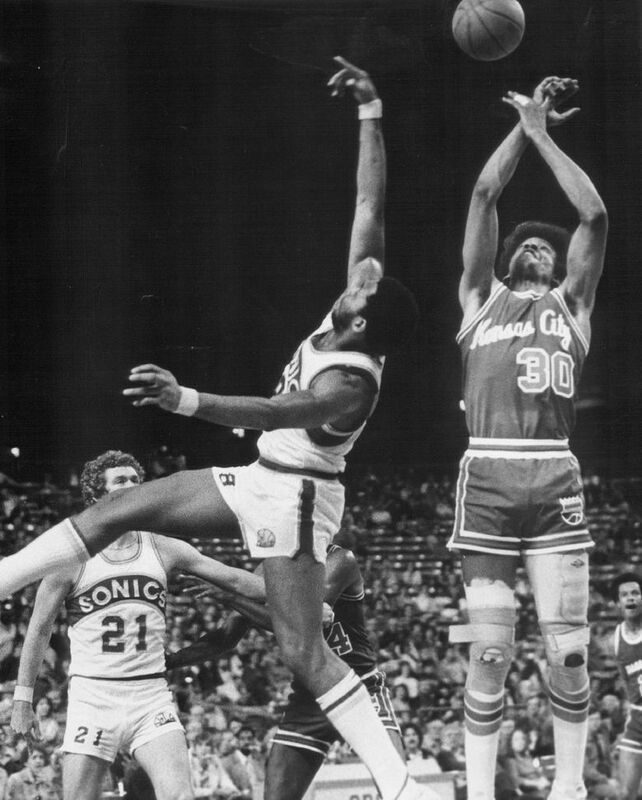 Shelton adapted quickly to the Sonics, teaming with Sikma and John Johnson on Seattle’s front line, with Gus Williams and Dennis Johnson in the backcourt (and Fred Brown serving as a sixth man off the bench) as Seattle finished 52-30 in the regular season and then, after outlasting the Suns in a rugged seven-game series in the Western Conference finals, cruising to an NBA title series win over Washington in five games. 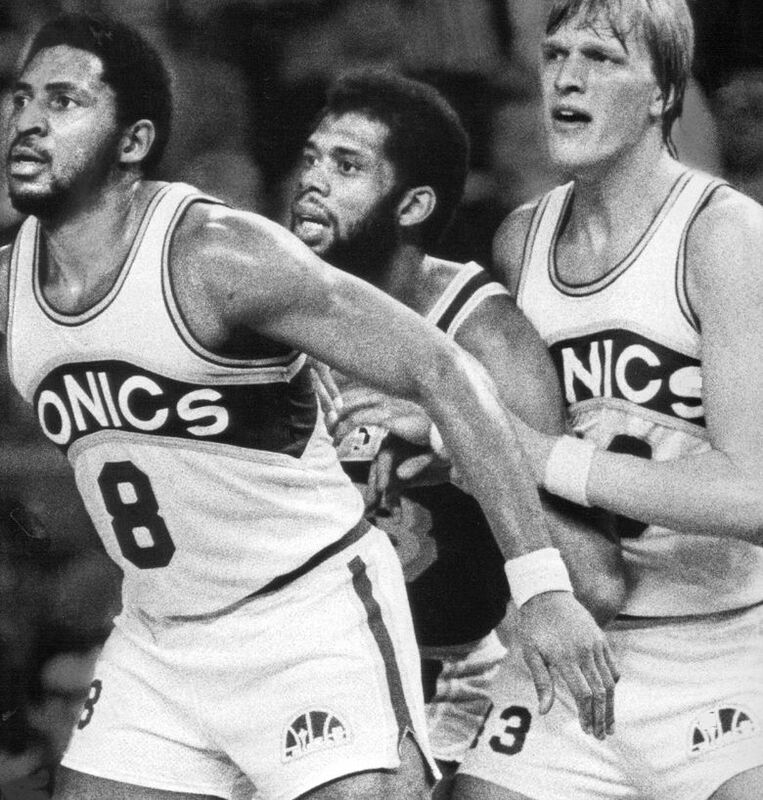 The Sonics led the NBA that season in fewest points allowed and lowest field goal percentage allowed, which Sikma said was aided greatly by the addition of Shelton. 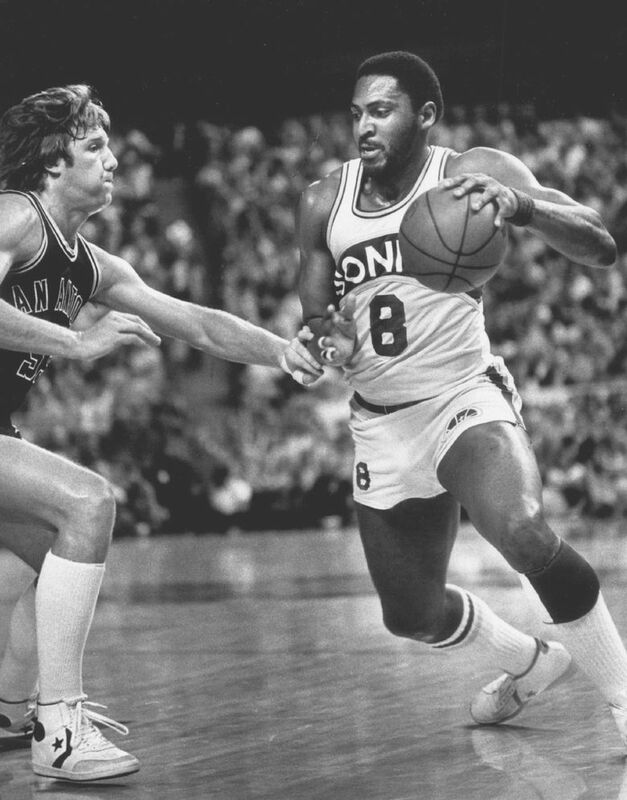 “The main thing is Lonnie was a big, physical, physical presence and we always had one of the best defenses in the league and we were one of the best rebounding teams in the league and he was a perfect fit,” said Sikma. Paul Silas, a veteran forward who served as Shelton’s backup in 1979, told the Times in 2003 that he thought the acquisition of Shelton put the team over the top. Shelton scored 14 points and grabbed eight rebounds in playing 37 minutes in the Game 5 win that secured the victory. Shelton started again for Seattle the following season when the Sonics won 56 games and advanced to the conference finals before losing to a Lakers team led by rookie sensation Magic Johnson and Kareem Abdul-Jabbar that went on to win the title. A wrist injury limited Shelton to 14 games the following season, one of several circumstances that helped derail the team — Williams held out for the entire season and Paul Westphal, acquired in a trade for Dennis Johnson, also battled injuries. But Shelton bounced back the following year to earn his only All-Star game nod — voted in as a starter by fans — and finishing with a career-high-tying 14.9 points per game and 6.3 rebounds while also being named to the NBA All-Defensive second team. He played one more year for the Sonics and then was traded to Cleveland for a second-round pick and what was termed at the time as a “substantial” amount of cash after Seattle made a surprisingly quick exit from the 1983 playoffs, losing in the first round to Portland. Shelton at the time was one of just four players remaining from the title team and then-Sonics general manager Zollie Volchok said the team wanted to go in a different direction amid some reports the team was worried about Shelton’s weight. Shelton, who was born on Oct. 19, 1955, in Bakersfield, Calif., played three more years with Cleveland before his career ended in 1986. He had five sons, including Marlon, who played basketball for the Washington Huskies from 1998-2003, and L.J., who was a first-round pick as an offensive tackle with the Arizona Cardinals in 1999 and played in the NFL in 2008. Another son, Tim, played basketball at San Diego State. Shelton’s other sons are Titus and Dion. Shelton becomes the third member of the 1979 starting lineup to pass away — Dennis Johnson died at the age of 52 in 2007, and John Johnson at the age of 68 in 2016. In an interview with the Times in 2003, Dennis Johnson cited a story involving Shelton when asked for his favorite memory of his time with the Sonics.